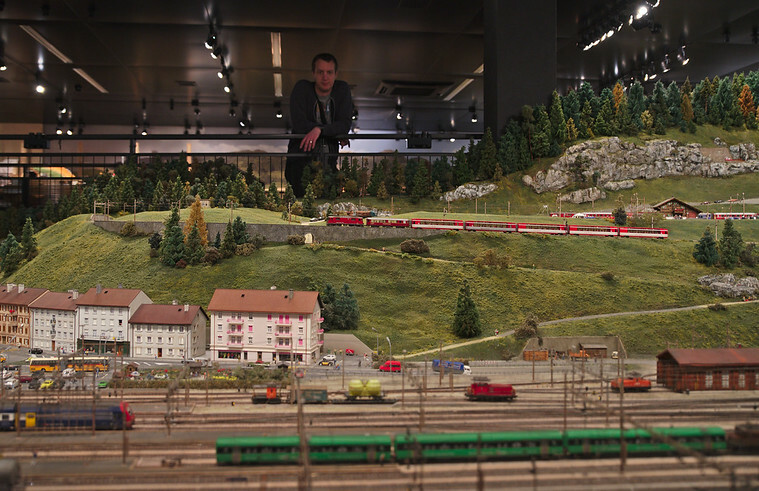 A week ago, we went to Fribourg, and more precisely to Granges-Paccot, to visit the Chemins de fer du Kaeserberg – a very impressive model railway exhibition. After the movie, we arrive in front of the first “station” that stores the trains that can travel on the rail network on that day – they say that they have 87 trains that are ready to travel. The trains travel to the “main” circuit a couple of meters above via an helicoidal ramp, that is unfortunately not visible from the outside. There’s a hidden station to buffer trains before they actually arrive in the publicly visible area. 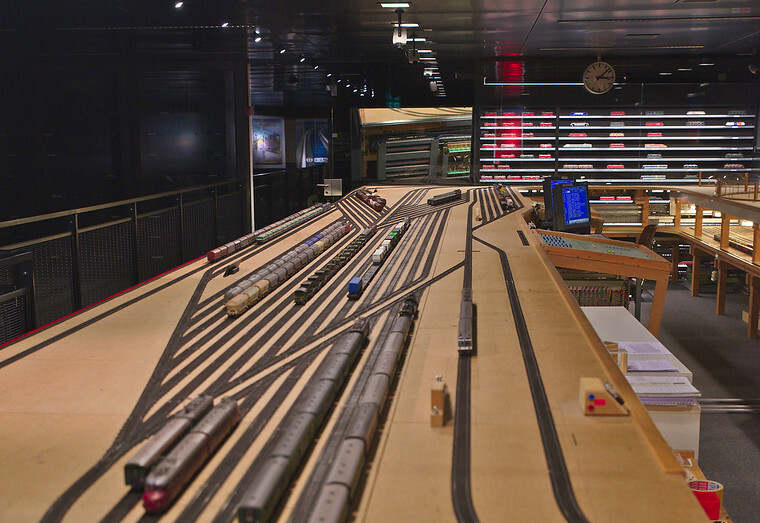 There are three networks in the model, all at 1:87 scale, but with two different track widths (H0 and H0m), corresponding to “standard” gauge and “narrow/metre” gauge. Every half hour, night falls, giving a whole other atmosphere to the model. 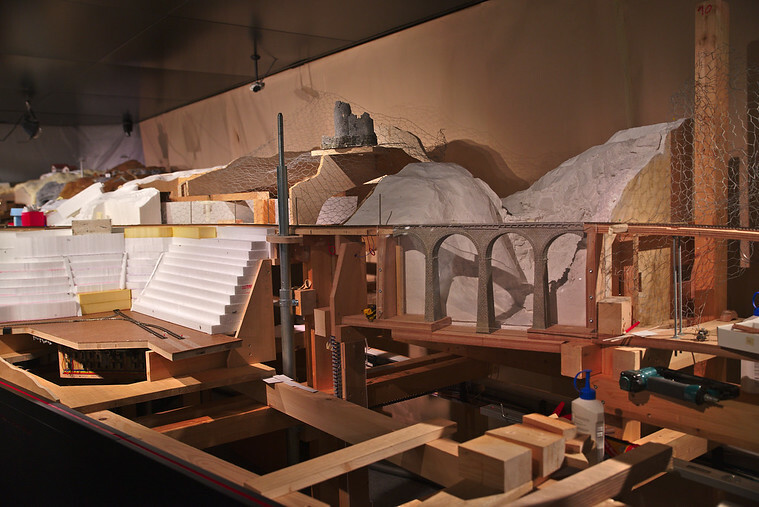 They’re still working on a second line for the Kaeserberg train – it’s pretty neat to see the work in progress! The full album with a few more pictures is here: Chemins de fer du Kaeserberg. 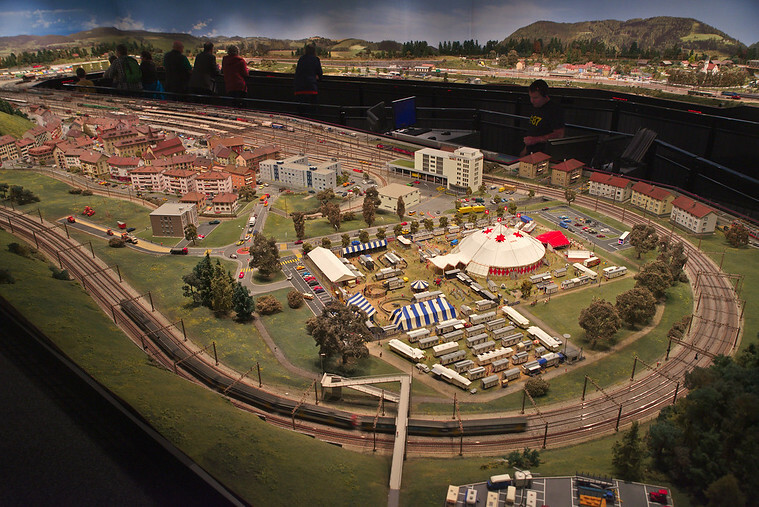 If you enjoy model trains and/or geeky stuff in general, I can highly recommend the visit. But beware: I found myself becoming far more enthusiastic about model trains after the visit than before 😉 Also, they have specific opening days, and it’s advised to make reservations for the tour.